How to Manage Relationships, Stay Safe and Healthy, Handle Stress, and Have the Best Years of Your Life! 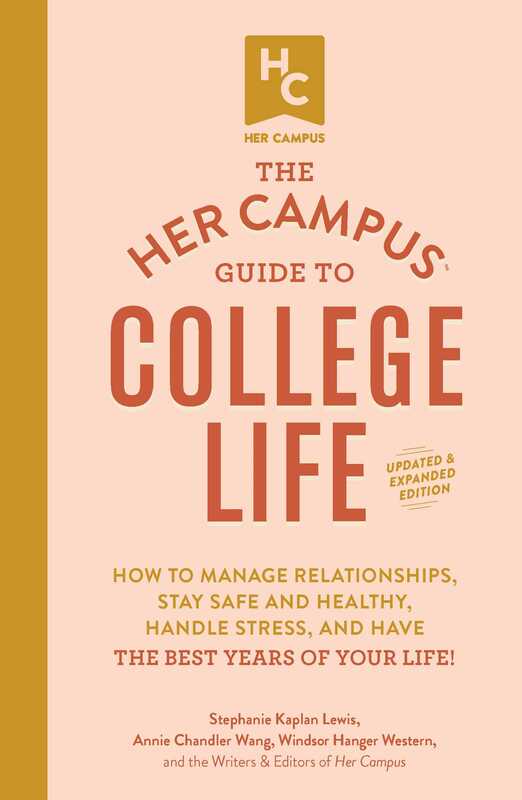 Every young woman’s essential guide to tackling all of the challenges of college­—from stress to debt to scholarships—in a completed updated new edition: “Some things are common sense but some things aren’t—especially when it comes to navigating a college campus in a way that’s fun, independent, and totally safe” (Today.com). —Coping with stress and anxiety—even during the insanity of finals week! Complete with fun checklists and helpful worksheets, The Her Campus Guide to College Life, Updated and Expanded Edition shows you how to make the most out of your undergrad experience—in and outside the classroom. Stephanie Kaplan Lewis is the author The Her Campus Guide to College Life. Her Campus is the #1 global community for college women with chapters at more than 250 colleges worldwide. In addition to its flagship site HerCampus.com, Her Campus also puts on conferences, events, and College Fashion Week, and has its own blogger network, high school ambassador program, and more. Her Campus has been recognized by Glamour, Forbes, and Bloomberg Businessweek.